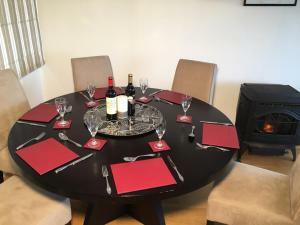 On Ireland's South West Coast, Rathmore House Bed and Breakfast is on the outskirts of Baltimore Village, overlooking Baltimore harbour and the islands. 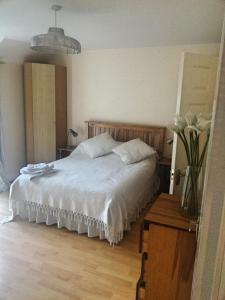 This modern built Georgian style house offers spacious bedrooms with free Wi-Fi and freshly cooked breakfasts. 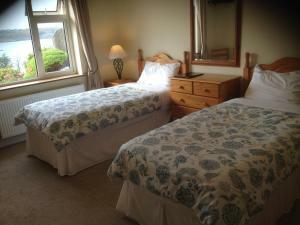 Rooms at the Rathmore House feature TVs, work desks and tea/coffee-making facilities. 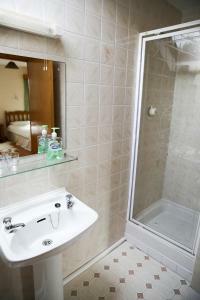 Rooms include bathrooms with showers and free toiletries, and some rooms have stunning sea views. Each morning, cooked Irish breakfasts are served in the quaint dining room. Guests can relax in the lounge, which has large leather sofas, a fireplace and a large-screen TV. Free Wi-Fi is available in public areas of the house. 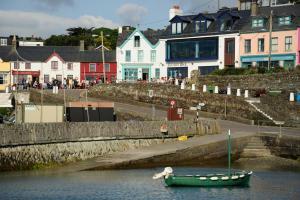 From Baltimore village guests can take a boat trip to the nearby islands of Sherkin or Cape Clear. Baltimore has many attractions including Baltimore Beacon at the entrance to the harbour and Baltimore Castle. Island View over Baltimore Harbour is situated in Baltimore. Guests benefit from a terrace and a barbecue. 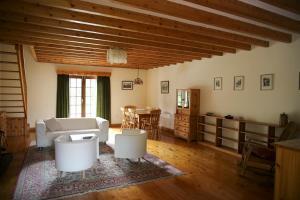 The holiday home is equipped with a satellite flat-screen TV and 3 bedrooms. There is a seating area and a kitchen complete with a dishwasher, an oven and a microwave. If you would like to discover the area, fishing is possible in the surroundings. 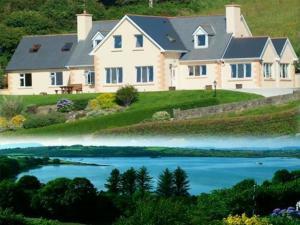 Clonakilty is 28.6 miles from the holiday home, while Bantry is 26.1 miles away. 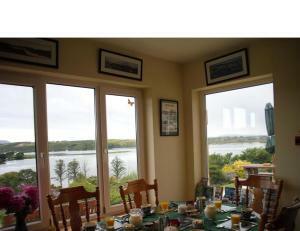 The nearest airport is Cork Airport, 58.4 miles from Island View over Baltimore Harbour. 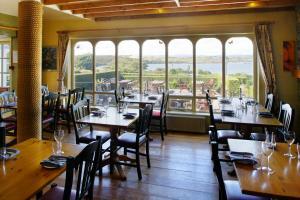 This family-run hotel has a quiet location, looking out over the harbour and the mouth of the River Ilen. 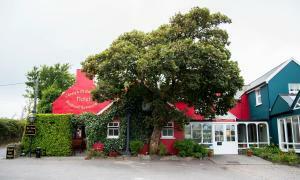 It has free parking, a traditional Irish pub and an award-winning seafood restaurant. 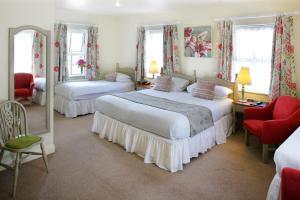 Casey's Of Baltimore Collection - The Hotel is a 3-star hotel in the pretty village of Baltimore in West Cork. 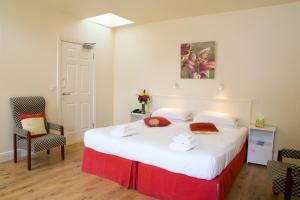 The light and large en suite rooms have satellite TV, telephones, tea/coffee, hairdryers and trouser presses. 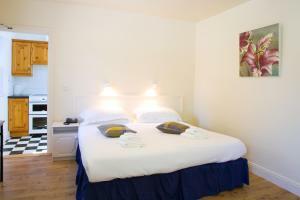 Most rooms have sea views and many have king-size beds. A choice of breakfasts is available, including full cooked Irish breakfasts. The Baltimore Room restaurant serves superb food from local farms and fresh from the town's fishing boats. 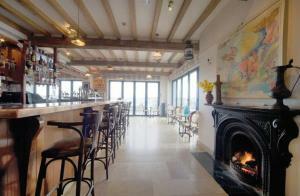 The pub has open fires, traditional Irish music and a beer garden looking out over the bay. 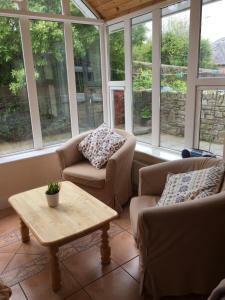 Situated in the grounds of a charming West Cork hotel, these self-catering cottages have full use of the hotel’s facilities but benefit from the peace and tranquility of their own private space. Free private parking is possible on site. Casey's of Baltimore Collections - The Cottage consists of 5 apartments, each with its own bedroom, en suite shower unit, and TV. The picturesque village of Baltimore is just 7 minutes away on foot. It has a range of restaurants to try, and you can enjoy ferry trips to the surrounding islands as well as go fishing, diving and sailing. 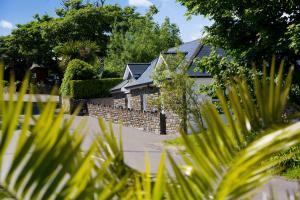 Situated in the grounds of a charming West Cork hotel, these self-catering cottages have full use of the hotel's facilities but benefit from the peace and tranquillity of their own private space. Free private parking is possible on site. 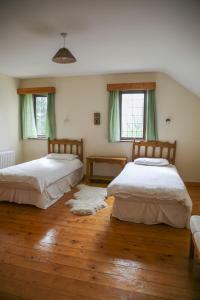 Baltimore Cottage consists of 5 apartments, each with its own elegant bedroom, en suite shower unit, and TV. Apartments all benefit from a fully equipped kitchen with an oven, fridge, and dishwasher. The picturesque village of Baltimore is just 7 minutes away on foot. It has a range of restaurants to try, and you can enjoy ferry trips to the surrounding islands as well as go fishing, diving and sailing. 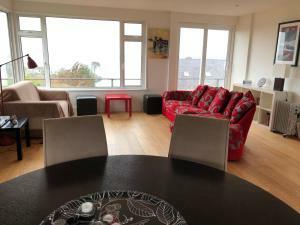 Overlooking Baltimore Harbour with fantastic sea and island views, The Waterfront Hotel offers seafood, a bar with regular traditional music sessions, and free Wi-Fi in the public areas. 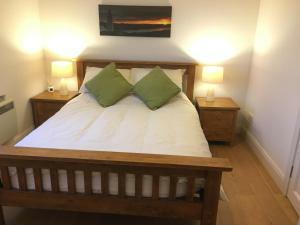 All rooms are bright and include an en suite bathroom, free toiletries, a hairdryer, TV and complimentary tea/coffee making facilities. Most rooms have sea views. Guests can enjoy Jacob's Bar for food and drinks on the village square overlooking the activity on the water. The Lookout Restaurant, which is open on seasonal basis, specialises in shellfish platters and has sea view from its 25-foot floor-to-ceiling panoramic window. Ferries to Sherkin Island and the Irish-speaking Cape Clear Island can be caught down on the pier less than a minute's walk outside the hotel. Skibbereen is only a 15-minute drive away. The Puffin Baltimore is situated in Baltimore and offers a garden and a terrace. 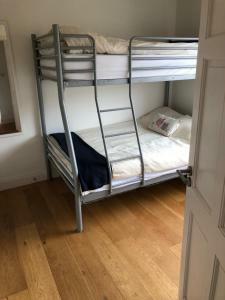 With sea views, this accommodation offers a balcony. The holiday home includes 3 bedrooms, a kitchen with a dishwasher and an oven, as well as a kettle. A flat-screen TV is offered. Hiking can be enjoyed nearby. Clonakilty is 28.6 miles from the holiday home. 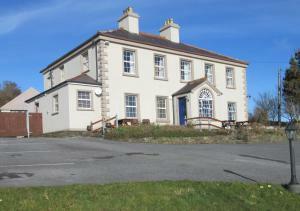 The nearest airport is Cork Airport, 57.8 miles from the property. 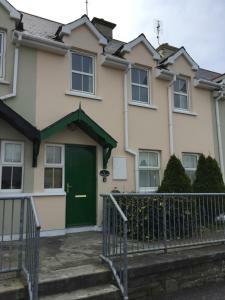 Situated deep in the heart of West Cork, Killeena House provides you with the perfect In the heart of West Cork, these 12 apartments are nestled in pretty gardens, a short drive from Killeena. There is free private parking on site, and guests can go golfing, fishing, and sailing in the surrounding area. 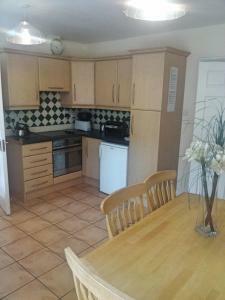 Each apartment in the charming Killeena House offers a fully equipped kitchen with a cooker, fridge, and kitchenware. 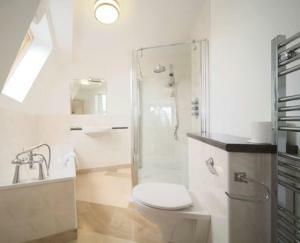 There are two laundry areas where guests can go to do their washing. 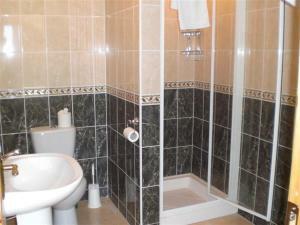 Rooms are traditionally furnished, and Killeena House apartments all have a modern, tiled bathroom. 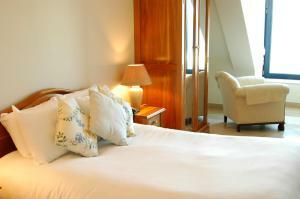 Each apartment also boasts pretty views of the gardens, and a lounge area with a TV for guests to enjoy. 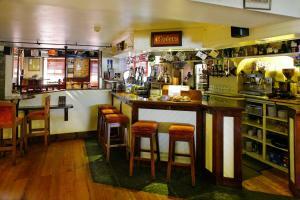 In the evening, there are excellent bars and restaurants nearby, which provide a wide choice for dining out.